In the previous story, Garuda Group Managing Director Uday B Garudachar shared his version of the story about Ejipura EWS quarters project. The second part of the series, brings out the chronology of events that happened in connection to the project and where it stands as on today. 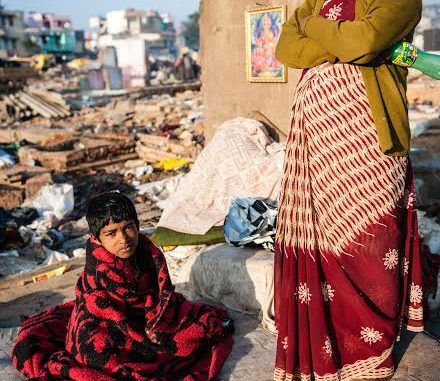 In January 2013, the world came crashing down for over 900 families that were living in the Ejipura EWS (Economically Weaker Section) quarters near Koramangala, when the BBMP along with the building giant Maverick Holdings began to evict the poor families, to make way for new EWS quarters. It has been over four years since the demolition took place. The cleared EWS site continues to be vacant. 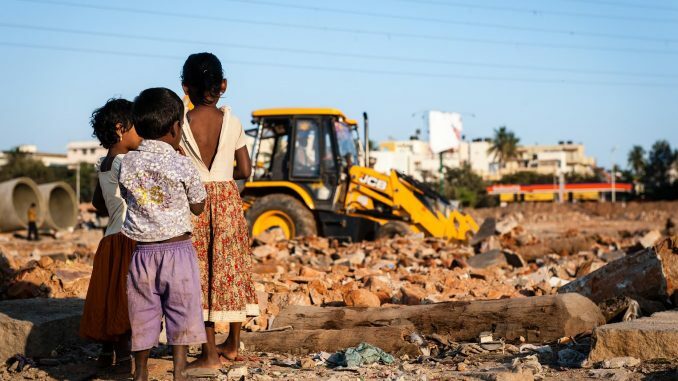 Construction is yet to start in a full-fledged way, and the evicted families are yet to occupy the houses that were promised to them in Sulikunte off Sarjapur road. Incidentally, the Sulikunte project was also built by Maverick Holdings itself. The story of Ejipura EWS quarters can be traced back to 1980s. The chronology of events that have taken place in last three and odd decades reflect the lackadaisical attitude of the authorities when it comes to the housing for poor and how a vast property in a prime location of the city meant for EWS families is given to a private party under the guise of PPP model . In 1983, the then Bengaluru Mahanagara Palike (BMP) commenced the construction of EWS houses in Ejipura at a cost of Rs 223 crore using a HUDCO loan. The housing project which went on at a snail’s pace was completed in 1991. Around 1993-94, the houses were allotted to EWS families who had applied to get the houses sanctioned. As many as 1,512 houses were built in 42 blocks (36 houses in each block) in 10.30 acre land. The families to whom these houses got allotted are termed the ‘original allottees’. “Those houses were good to live in initially, but they lacked basic facilities like water, drains and sanitation,” says P S Das, General Secretary of Ejipura EWS Residential Association. Das was one of the original allottees. Currently he supervises the Ejipura EWS project plan site for Maverick Holdings. Recalling the turn of events, he says that gradually the buildings started developing cracks and within seven years of BMP handing over the houses to allottees, a building block collapsed, due to the substandard quality of work and lack of maintenance. “We did try to fix things up and continued to live there for a few years, but with the construction and development work that was taking place at National Games Village (on the opposite side of the quarters), more blocks collapsed in our colony,” he says. One of the building collapses led to the death of three persons including a child. It was then that the original allottees began moving out of the quarters. Two categories of people lived in the quarters in the following years. First, those who had original rights (title deeds) of the quarters and second, those who paid original allottees to get power of attorney or took the houses on rent. In 2003, an inquiry was conducted to check the quality of houses in the EWS quarters. Torsteel Research Foundation, an expert in Structural Engineering examined the buildings and found them unfit for habitation. Most of the original allottees were vacated from the quarters in 2003-04. When the original allottees demanded new houses with the BBMP, the then BBMP commissioner Srinivasmurthy proposed the idea of building the quarters under public-private partnership. “The then commissioner said that since they had already availed loan for the first housing project from HUDCO, they could not avail the loan again. The BBMP has been blacklisted for not repaying the loan, hence could not take help from Slum Development Board or Housing Board, is what we were told. The commissioner came up with the PPP model as the only solution to the housing problem. They kept a proposal before us, original allottees to give half of the land meant for EWS to a private party’s utilisation. We felt it was better than not having a house,” Das says. In 2006 the tender for the PPP project was called. Of the 32 companies that participated in the tender, three were qualified, but then only two companies remained in the fray. Thus began a long legal battle for the construction of EWS quarters in the heart of the city. Maverick Holdings and Investments Pvt Ltd (MHI), a unit of Garuda Group and Ackruti City Ltd (a Mumbai-based construction company) were vying with each other to secure the bid. And the BBMP council passed a resolution in favour of Maverick to secure the contract. Speaking to Citizen Matters, Managing Director of Garuda Group, Uday B Garudachar says that Ackruti had better financial condition than Garuda at that point of time. “But they failed to qualify technically, they had some technical flaws. Though the BBMP wanted to award the contract without delay, Ackruti moved to the Court questioning the tender process. The legal battle on who should secure the contract went on for about six years from 2004-2010. Finally the High Court dismissed the case in 2010,” he explains. Then again Ackruti contested it in the division bench of the High Court. Their contention was that BBMP should not have opened the financial bid first, instead of technical bid. But the BBMP said it had the liberty to open the bid in any order. By then, Ackruti City Ltd opted for a compromise and backtracked from the case. It is not known how and why the BBMP opened financial bid first. Meanwhile, some of the original allottees approached the High Court with a Public Interest Litigation seeking court’s direction to the government to sanction appropriate funds for the housing project. Even as the matter was pending before the court, on January 2, 2012, the BBMP entered into a concession agreement with the Maverick Holdings to build EWS under PPP model. According to the agreement, of the 15.64 acres of BBMP land available in Ejipura, EWS quarters was to be built in an area not exceeding 8 acres and the remaining 7.64 acres was to be shared between Maverick and the BBMP for commercial purpose. The work was supposed to be completed in two years of obtaining commencement certificate/plan approval. This agreement though was initially opposed by allottees, reportedly a settlement was arrived between some of the petitioners (who are part of the Ejipura EWS Residential Association), BBMP and Maverick Holdings, based on which the Karnataka High Court passed an order in August 2012 to clear the EWS settlement land for the PPP project and disposed of the matter. 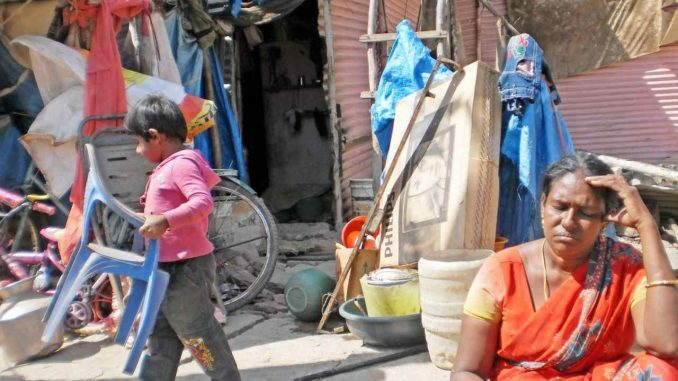 In January, as per the HC order, Maverick Holdings and the BBMP evicted over 900 families, who were tenants living in tin sheds in Ejipura colony at that point of time. Forceful eviction of these residents without making an alternative housing arrangement, invited the wrath of various organisations and communities. The public sentiment was against building a commercial complex on a site meant for EWS housing. The citizen groups accused the BBMP of building 1,512 houses in a site where 3,000 houses could be built, by opting to share the land with a private builder. In an appeal letter published in Round Table India, the project was called as a case of land grab, of plundering of land meant for Dalits and minorities. “The BBMP managed to suppress the vital information from the High Court of Karnataka and procured a judgment in their favour and evict the EWS residents without any rehabilitation,” the article reads. As per the Court order, the project proponent Maverick Holdings claims to have handed over a compensation amount of Rs 30,000 to families that were evicted from the project site. Meanwhile, an arrangement was made between the government and the Maverick, to build houses for tenants who were thrown out on streets, at Sulikunte off Sarjapur road. While the Sulikunte project has been completed, according to Uday Garudachar, the work on the main project in Ejipura has just commenced. With several hurdles in the process of getting the development plan, project plan sanction from the BDA and BBMP respectively, the project did not take off till recently. Due to the delay in commencing the work, a group of original allottees filed a contempt petition in the High Court around eight months ago, questioning the delay in project implementation and violation of the previous HC order. According to sources, the original allottees have filed the contempt petition at the behest of Maverick Holdings. During the case hearing, the BBMP asked the builder (Maverick) to pay a plan sanction fee of Rs 7.39 crore to get the project plan sanctioned. In its order (CCC 951/2016) on May 31st, 2017, the HC directed the builder to pay 50 per cent of the said amount within a week of passing the order and also directed the BBMP to sanction the project development plan within two weeks of receiving the fee. It also directed the builder to begin the construction work of EWS within two weeks from the date of sanction of the construction plan and to report it to the court. The court has also asked the Principal Secretary of the Urban Development Department (UDD) to look into certain aspects of the project and submit a report before the next hearing scheduled for July 19th. After having obtained the plan sanction for EWS housing, the builder has commenced the work recently. The third part in the series will probe into what is actually happening with the plan sanction, the issues of violation and ambiguities in the project agreement signed between the builder and the city corporation. well these many days i was wondering why is this place like this and this article explained entire history.. claps for akshatha..